Russia has over two centuries’ experience of using hard and soft power for establishing and maintaining control over the Caucasus, including Georgia. After the collapse of the Soviet Union, the Russian Federation relied more on hard power tools to retain this control. The active use and boosting of its degraded “soft power”—which the concept’s inventor, the distinguished Harvard professor Joseph Nye, defines as a country’s ‘capacity to get what it wants by attraction rather than through coercion’—was not a priority for post-Cold War Russia. According to Nye, ‘attractive, or “soft”, power’ stems from ‘culture, values, and policies’ that are ‘broadly inclusive and seen as legitimate in the eyes of others’. He also underlines the importance of combining hard and soft power to achieve results, and calls this combination “smart power”. Smart power was not really what Russia practiced in the 1990s. While its huge market, historical ties with Georgia (a positive interpretation of which still lingers in the minds of much of the older, Soviet-educated generation), culture and orthodox Christianity remained Russia’s main soft power assets from the end of the Cold War to 2012, it never implemented any consistent policy to increase its potential to attract in Georgia, nor did it combine it with hard power. There were no meaningful efforts to foster Georgia’s economic growth, to help with civil and military capacity building, or to encourage public diplomacy to facilitate a restoration of Georgia’s territorial integrity. Conversely, continuous military support for separatists in the South Caucasus and Russia’s two genocidal wars in Chechnya—which caused massive civilian casualties and fueled the process by which local ethnic groups residing in the Caucasus are stigmatized—have significantly decreased Russia’s soft power in the region, including in Georgia. The introduction of a visa regime in 2000, the imposition of a full economic embargo in 2006 followed by the severance of all transport and postal links, the deportation of Georgian citizens from Russia, military aggression against Georgia in 2008 with the subsequent occupation of 20% of Georgian territory… have all have contributed to the steady decline of Russia’s power of attraction. 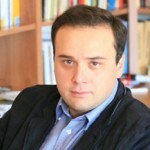 Towards the end of Saakashvili’s second term in office, relations between Georgia and Russia were at one of their lowest points ever. After coming to power during the October 2012 parliamentary elections, the Georgian Dream Coalition began to carry out one of its most vocal electoral promises and to follow a policy of normalizing relations with the Russian Federation—the so-called “Georgian-Russian Reset”. Russia never stopped its policy of bullying, as the continued borderisation process (the erection of barbed wire fences along the administrative boundary line between Russian-controlled South Ossetia and the rest of Georgia) and the kidnappings of peaceful Georgian villagers residing in Georgian-controlled areas adjacent to Russian-occupied South Ossetia vividly demonstrate. Nevertheless, Russia welcomed the establishment of direct communication with the new Georgian government, and has gradually opened its market to Georgian goods. Wine was a first export, soon to be followed by other agricultural products. The Georgian Dream government has been constantly pointing to the results of its Russian Reset policy as one of its main achievements, particularly the opening of the Russian market to Georgian goods. At the same time, it has toned downed criticism of Russia’s aggressive actions such as borderisation and has shied away from regularly raising the issue of Georgia’s de-occupation with the international community’s attention. In an interview he gave the BBC in July 2014, in which he once again claimed success for his government’s Reset policy, the Georgian PM Irakli Gharibashvili declared that, unlike Crimea, Russia was not interested in annexing Georgia’s breakaway regions of Abkhazia and South Ossetia. Yet only five months later, in a written statement given shortly after the signature on the 24th of November of the “treaty on alliance and strategic partnership” between Russia and the breakaway region of Abkhazia, the Georgian PM had to backtrack and recognize that this was ‘a step taken by Russia towards the actual annexation’ of Abkhazia. He then went even further by underlining the fact that the ‘level of normalization of relations between Georgia and Russia will be defined in terms of Russia’s respect for this principle’. The Georgian government’s “Russian Reset” policy has concentrated on achievements and has understated threats to the population. Today, while the majority of Georgians identify Russia as the country’s number one foe, many of them, especially those living in the countryside, have bought into the Georgian Dream’s rhetoric. They have taken note of the rapid and significant increase of agricultural exports to Russia, and are pinning their hopes for a higher standard of living on Russia. People living in Kakheti, Georgia’s major grape and wine producing region, are certainly no exception in this respect: after Russia lifted its restrictions on Georgian wine imports in 2013, the volume of Georgia’s wine exports to its neighbor to the north increased rapidly. According to data for the first half of 2014 published by the Georgian National Wine Agency, Russia’s share of Georgian wine exports reached 65% of the total. As economic restrictions began to ease, this trend spread to some other exports and, according to the latest figures, Russia has become Georgia’s third largest export market—a big jump from eleventh place in 2012. It is also worth noting that Russia is currently very busy with the rapid construction of a highway linking Russia’s North Caucasian republic of Daghestan with Georgia’s eastern province of Kakheti. 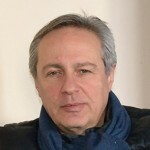 The main purpose of this link seems to be the creation of a short, reliable land route for transporting military and civilian cargo through Georgia to Armenia and onwards to Iran. (Currently, the only “legal” border crossing linking Georgia to Russia goes through the Larsi checkpoint in the High Caucasus, which is forced to close for several months every winter due to the harsh weather and climate). Opening this planned highway through Daghestan would definitely worsen relations between Georgia and Azerbaijan, its close ally and main energy supplier. The highway could also serve as alternative route in case Russia decides to intervene militarily in the South Caucasus again. A month ago, on the 10th of November, Moscow also launched a new media agency called “Sputnik”, which will be controlled by Russia Today—the Russian state-owned news agency widely recognized as a Kremlin mouthpiece. Information published on Sputnik’s website claims that ‘in 2015, Sputnik will be broadcast in 30 languages’ and that it will cover ‘over 130 cities and 34 countries’. Sputnik promises to tell the untold to ‘a global audience of billions who are tired of aggressive propaganda promoting a unipolar world and want a different perspective’. Its multimedia centers will maintain their own websites and broadcast over local radio stations. Tbilisi is mentioned as one of the host cities. Indeed, following an agreement signed between Russia Today and the privately owned “R Radio” station—aka “Radio Monte Carlo”, which is licensed to broadcast in Tbilisi—Sputnik was allotted 4 hours per day of R Radio’s airtime and began broadcasting. 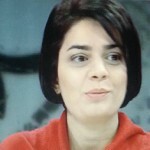 But it soon went off the air after the Georgian National Communication Commission began to question its compliance with Georgian legislation. After investigating the matter, the Commission declared that Sputnik was neither a broadcasting license holder, nor indeed an authorized entity. Nevertheless, Sputnik has already started round-the-clock radio broadcasting (in Abkhaz and Russian) in Russian-occupied Abkhazia. The agency also plans to begin broadcasting through another multimedia center established in South Ossetia. To justify and legitimize its global and regional policies, the Kremlin, with the help of its media outlets, has long presented Russia as a country aspiring to establish a more just, multipolar world order in which international law will rule instead of superpowers. Putin’s regime has also created the concept of “sovereign democracy”—a clever play on two positive-sounding words—which it has used as a smokescreen to hide its efforts to consolidate autocracy at home. Such rhetoric was at least partially successful early on, against the background of an unpopular war in Iraq and increased anti-Americanism triggered by George W. Bush’s unilateral policies. But Russia’s blatant aggression against Georgia in 2008 limited the impact of this rhetoric, and the annexation of Crimea in 2014 stripped it of much of its semblance of legitimacy. In the meantime, Kremlin spin doctors and ideologists have not stood idle, and have been crafting another concept of unique Russian Pole out of older building blocks and infused with newish twists. If one agrees that the biggest cliché of the post-Cold War era is that of a “clash of civilizations”, it’s easy to see that by pursuing the “noble mission” of bringing civilizations together through Eurasianism and the Eurasian Union, Russia hoped to increase its power of attraction and rebuild its lost empire. Having capitalized on anti-gay sentiments both at home and abroad, Putin’s regime has been continuously presenting Russia to domestic and certain European audiences as the last conservative outpost in Europe, as the only untainted streak of Christian civilization that will save the world from Western decadence. These concepts have been blended with the idea of a “Russian World” to further electrify and garner support from domestic audiences and Russian speakers abroad, and to justify Russia’s foreign military interventions. In the good old tradition of the Russian Empire, the Russian Orthodox Church wholeheartedly supports the Kremlin’s ideological ventures. In an address to the World Russian People’s Council just a month ago, Kirill, the Russian Patriarch, accused the West of interfering in the post-Soviet space and argued that ‘as they [the West] dominate the global information space, they impose their understanding of the economy and state governance on everyone else in an effort to muzzle those who are ready to defend the values and ideals which diverge from the concept of a consumer society’. The depiction of Orthodox Russia as the true upholder of Christian values against ‘Gay-vropa’ (a play on the words “gay” and the Russian “Evropa”, and another cliché invented by Kremlin ideologists to demonize the West) and a “consumer society model” devoid of spirituality also resonates with a significant part of Georgian society. Statements made by high-ranking clerics of Georgia’s extremely popular Orthodox Church, in which they emphasize the country’s spiritual unity with Russia, further increase Russia’s attractiveness in Georgia. Russia also makes skilful use of its financial institutions to pander to the Georgian population. One of the lowest interest rates on consumer loans in Georgia is offered by VTB Bank—Russia’s second-largest bank, closely associated with Putin’s administration and currently targeted by US and EU sanctions. The VTB logo features prominently on the Georgian national rugby team’s kit, as the Russian bank has recently become its major sponsor. While this has driven a feeling of protest among some Georgians, others are grateful for Russian financial support for the country’s most successful and revered national team. It’s high time that the current Georgian government realized that its overemphasis on the benefits of the Russian market, its downplay of the threat Russia poses and its seeming ignorance of Russia’s efficient and increased use of soft power tools are increasing the vulnerability of Georgian citizens to Russian propaganda. After Russia’s 2008 war with Georgia, its economic embargo and now its creeping annexation of Abkhazia; after its annexation of Crimea and military intervention in Ukraine’s Lugansk and Donetsk regions; after it forcing Armenia to abandon its association agreement with the EU and to join the Eurasian Union instead; after it imposing sanctions on Moldova; after it issuing half-veiled threats to Kazakhstan’s territorial integrity—there should be no doubt left that Russia’s growing use of hard and soft power is a reason for serious concern. The US and the EU have already acknowledged the importance of the need to respond to Moscow’s threats and have begun to implement appropriate measures. Just recently, the U.S. Congress unanimously approved the “Ukraine Freedom Support Act of 2014” which imposes additional sanctions on Russia and authorizes the United States to provide significant assistance in support of Ukraine, Georgia and Moldova. This assistance includes increased funding for Voice of America and Radio Free Europe/Radio Liberty in order to increase their potential as an efficient counter to Russian propaganda. And the EU is not lagging far behind. On the 15th of December, its Foreign Affairs Council agreed in principle to the adoption of additional restrictive measures against Russia. Visiting Tbilisi this December, the German Foreign Minister Frank-Walter Steinmeier assured Georgians of the benefits of association with the EU and underlined the fact that the establishment of visa-free travel between Georgia and the EU was within arm’s reach. He also proposed holding a Georgian-German business forum in Germany to strengthen business ties between two countries and to attract more German investments to Georgia. At the same time, in a speech she gave on the 9th of December during a convention of her Christian Democratic Union in Cologne, the German Chancellor Angela Merkel denounced Russia’s “spheres of influence” politics and stated that ‘we won’t overcome these problems if we don’t speak the plain truth’. Regrettably, all we hear on the same issues from some members of the Georgian government is “abracadabra”. Commenting late last November on Russia and Abkhazia’s signature of their “treaty on alliance and strategic partnership”, which is widely seen as a step towards the annexation of Georgian territory by Russia, Georgia’s State Minister for Reconciliation and Civic Equality, Mr Paata Zakareishvili, said that the signing of this treaty was a ‘sign of unequivocal success’ of the Georgian government’s policies. In turn, PM Gharibashvili unlinked Georgia’s political and economic relations with Russia, stating that while Moscow is not willing to improve political relations, economic relations were ‘a separate issue’. Such an approach or absence of strategy will only play into Russia’s hands, and Moscow will continue to pursue its political objectives through the further expansion and unrestricted use of its soft power vis-à-vis Georgia. The Georgian government must acknowledge the urgent need for a fundamental reassessment and change of its Russia policy. It must come to grips with the old truism that a state’s economic, cultural and sporting policies are never detached from politics. All these and other state policies serve the national interest, which in Russia’s case means establishing control over Georgia’s foreign and security policy by preventing the country’s membership of NATO and the EU and forcing it to join the Eurasian Union instead (as it recently achieved with Armenia). Russia makes no secret of this. On the 10th of December 2014, the Russian Foreign Ministry released a statement in which it indicated that Georgia’s unrestrained desire to join NATO was the reason behind signing the “treaty on alliance and strategic partnership” with Abkhazia. The Georgian government must create and follow a consistent, multifaceted policy to efficiently withstand Russia’s soft power offensive. It must plan efforts to counter Russian disinformation both at home and abroad and co-ordinate them with local stakeholders and partner countries. Countermeasures should include preventing non-fact-based news broadcasting in Georgia. Increasing the Georgian population’s awareness of the benefits of NATO and EU integration must be another priority. In this respect, it is vitally important that the government ensures that the country rapidly meets all its obligations in order to quickly materialize the benefits of its EU Association Agreement, of its Deep and Comprehensive Free Trade Agreement (DCFTA) with the EU and of the “substantial package” of measures to support its NATO integration offered during the Alliance’s summit in Wales. The opportunities which Georgia’s Association Agreement and DCFTA with the EU offer must be better explained to the Georgian business sector, and their realization should be a priority. The government should also support programmes seeking to educate the population on the risks of relying upon a single market and to help the country diversify its export markets. It also has to do its utmost to ensure the early introduction of the visa-free travel regime with the EU. Finally, it is critically important that an efficient, targeted policy for reforming Georgia’s national security strategy be drafted and implemented in line with democratic principles. Civil society must be closely engaged in this process. If carried out successfully, such a reform will boost the state’s ability to put in place an effective national security policy. It will also contribute immensely to removing existing bottlenecks to rapid democratic development, and thus substantially increase Georgia’s power of attraction as a beacon of freedom and democracy. A lot remains to be done, and time is running out.